Dry skin can be really damaging to self esteem. For years I've had incredibly dry, sore elbows that just wouldn't go away no matter what I tried using on them. Because of this, when I was given the chance to try out the new festival sized mini's of both the 101 Ointment* (review to come) and Golden Ointment* I was particularly interested to test them out on my poor old elbows. 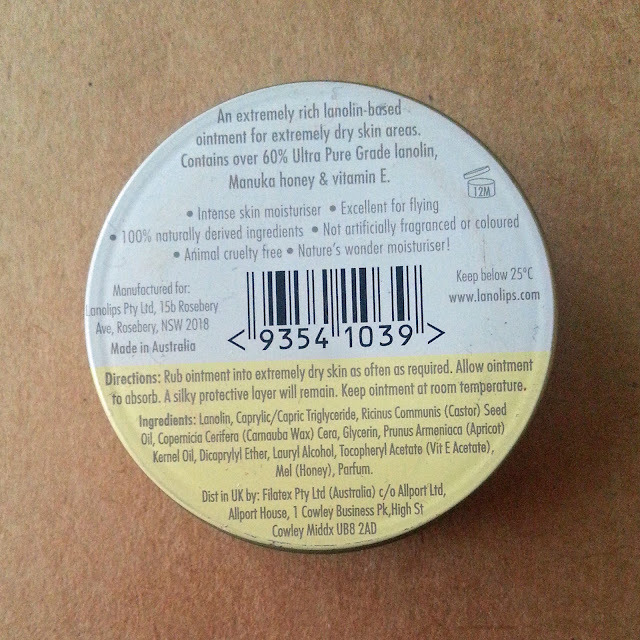 The Golden Ointment* comes in a very cute vintage inspired tin that is no bigger than a tub of lip balm and contains 12.5g of product, perfect for dropping into your handbag or stowing in your travel kit for festivals or summer holidays. 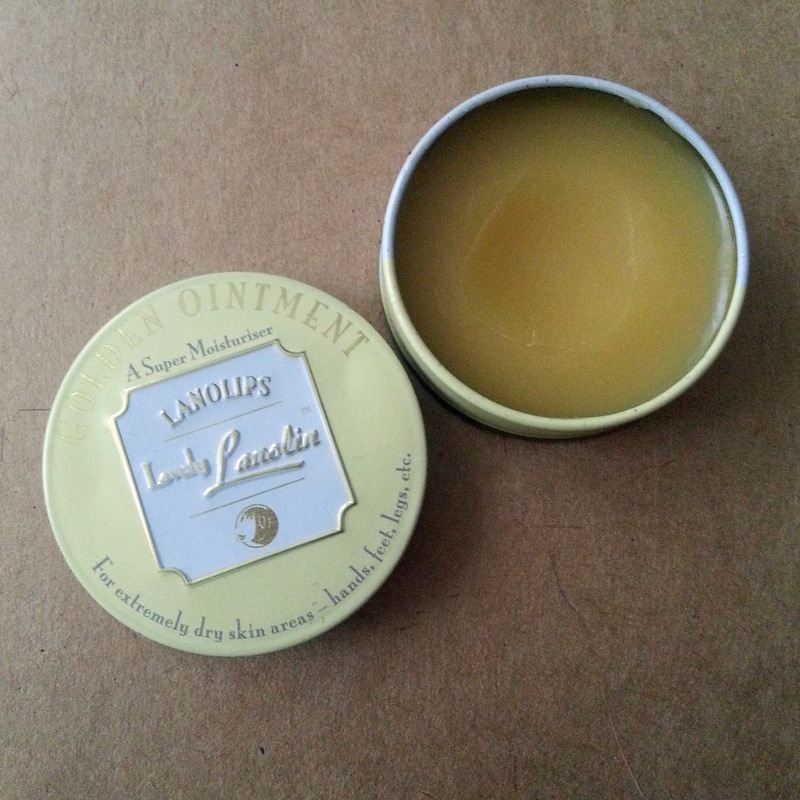 I am not personally a fan of using lanolin on my lips for personal belief reasons but this ointment is the first thing that I have used on my elbows that has actually worked in softening and hydrating the sore skin and making the pain go away. I have also used it, to amazing effect, on my legs and feet when I get eczema flair up and found it to help so much with speeding up the healing process and lessening the urge to scratch it and make the area worse. Lanolin is an amazing ingredient, extracted from the wool sheered from sheep, it is the yellow waxy substance that provides a protective barrier in the wool and stops sheep who stand in the cold and rain for hours getting cold and soaked through. In cosmetic use it is amazing for locking moisture into skin and hair, providing a protective layer on the skin for people who work in harsher conditions and is also classed as a vegetarian ingredient so extra yay! The Lanolips Golden Ointment* harnesses the brilliance of lanolin as an ingredient and enhances it with the addition of very moisturising yet anti-bacterial Manuka honey, castor oil and apricot oil so that the product is the very best it can be for giving you an indulgent and deeply nourishing effect. My one problem with this product is the use of glycerin in the ingredients. Glycerin is derived from animal sources and is not vegetarian, by using glycerine instead which is made using non-animal derivatives the product could have been kept vegetarian and been made suitable for so many more people. Over all I have been incredibly impressed with this product, and the mini pot makes it perfect for carrying around and applying whenever needed on the run. I now never leave the house without this little tin and will definitely be re-purchasing for years to come. The amount of relief I've been given from using on my elbows and eczema has been huge and after years of being self-conscious about my elbows I finally feel more confident in showing them. I cannot recommend it enough. 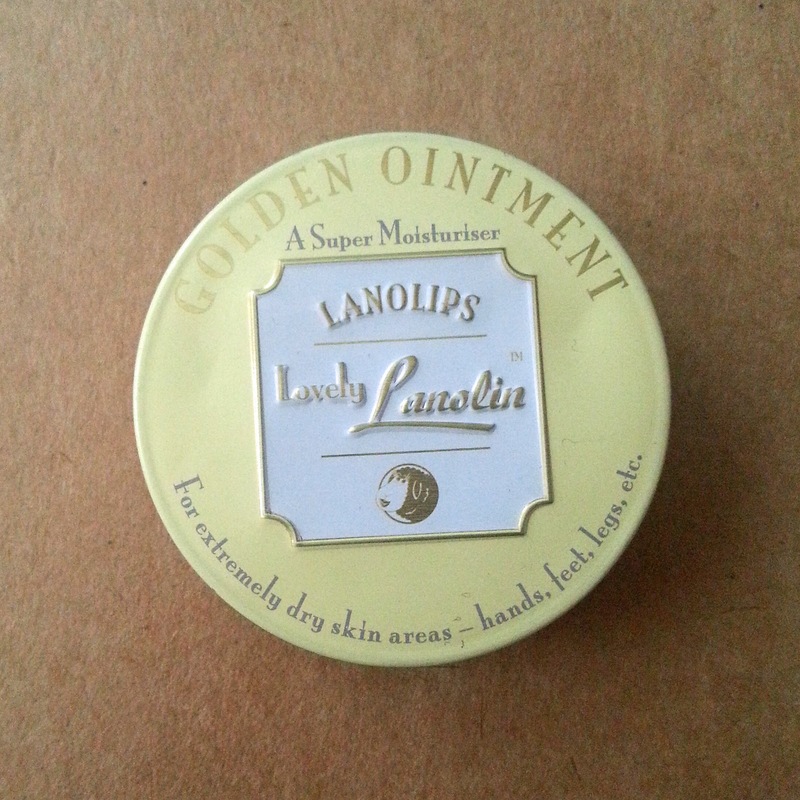 You can pick up the travel tin of Lanolips Golden Ointment for £7.99 from most larger pharmacies, Boots and Superdrug stores. Well worth the money in my opinion.